A mistake in your past can often create hardship in your future unless you take steps to mitigate it. This is especially true when you have been arrested or convicted for a criminal offense. Future employers, landlords and adoption agencies can all see your criminal record. That access often prevents good people who have reformed their lives from moving on and having the future they deserve. Expungement exists to help people move on from their mistakes. At the Law Office of David Jay Glassman, we work to get your record sealed and expunged so that your past stops dragging you down. Once we successfully get your record expunged, you will no longer have to report past arrests or convictions in most cases. The benefits of sealing your record and expungement are clear. The expungement (also called expunction) of your record means that it becomes much harder for anyone to find out about arrests or convictions in your past. The removal of these items from your record can open up doors in your career, your options for housing and even your personal life. When your record is expunged, the law considers the events that were expunged as never having occurred. For most purposes, it is as if they did not happen at all, even for the purpose of owning a firearm or testifying in a New Jersey court. All expunged records are also sealed, meaning that they cannot be easily discovered in searches of government records. In some cases, a record may be sealed but not expunged. We help you understand how long you have to wait and whether you will be eligible. Unfortunately, most motor vehicle offenses in New Jersey such as DUI cannot be expunged and neither can certain violent crimes and major offenses. If you have decided to seek an expungement, it is best to talk to our experienced attorney who can guide you through each step of the process. You will need to gather a variety of documents and information, which we use to complete your petition for expungement. Once the petition is filed, a judge orders a hearing. At the hearing, the judge will decide whether to expunge your record. Our firm then completes all of the paperwork required to finalize the process. Expunging your record offers you the benefit of a second chance in life. 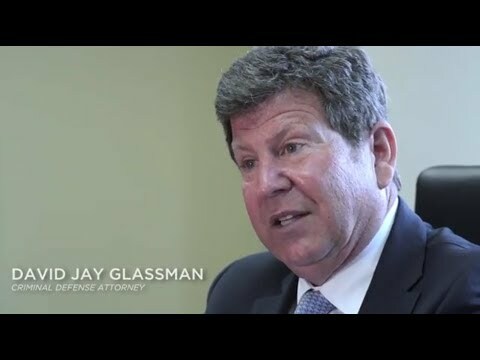 At the Law Office of David Jay Glassman, we work to get your records sealed or expunged so you can move forward. Call us now at 866-221-1270 or contact us online to plan your free consultation. From our offices conveniently located in Marlton, New Brunswick, Hackensack and Newark, our legal team handles cases throughout New Jersey.